The theme for the campaign is ‘Famous Last Words’ and each blogger has been equipped with a plain white tee and some fabric pens to design our own T shirt complete with inspirational quote of our choice. I got to work on mine and decided on a quote that is not only something that’s motivational and in-keeping with the theme, but also something that rings true with me right now. It’s all about living for the moment and not doubting yourself or your strength. Here’s my design! What do you think!? 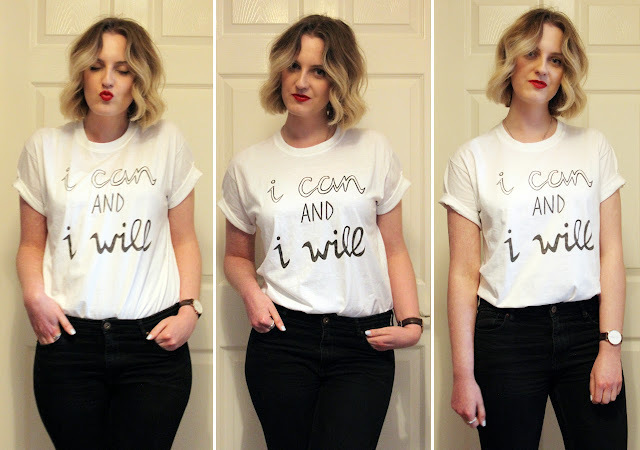 My design will soon be uploaded to the Boohoo competition page along with a whole host of other blogger’s handy-work, and then you can all vote for your favourite! The winning design will go in to production and be sold on the website to raise money for the cause, along with a range of designs from mega-bloggers such as Zoella, Niomi Smart and Tallia Storm. 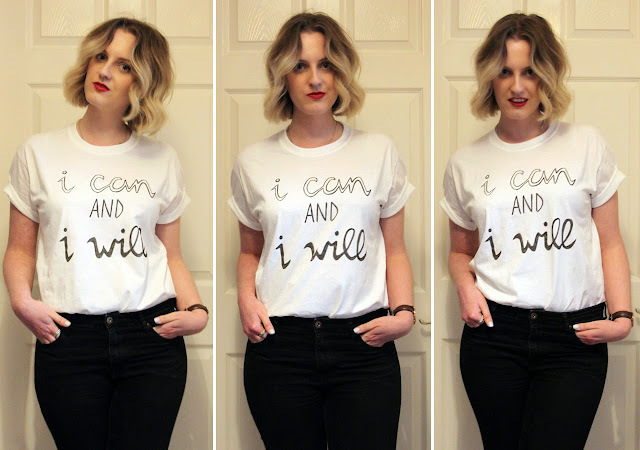 £5 from each sale of these gorgeous tees will go straight to the Style For Stroke campaign, so you can look fabulous whilst giving to a great cause! Keep an eye on my Twitter to find out when voting goes live, as I’d love for you to vote for me if you like my design! If you’d like to find out more about the campaign you can see more info on the Boohoo website or the Stroke Association page. What would your ‘Famous Last Words’ be?